Have you ever commissioned or carried out your own research, and the results weren’t what you needed or wanted? Perhaps you never have because you’re not sure of the best way to do it? 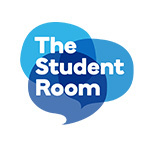 Julie Vincent, Insight Director at TSR Insight, and Hannah Morrish from The Student Room, an expert in youth engagement, will show you how to create a watertight research brief. We will give you the knowledge to feel confident you’re asking the right questions, of the right people, in the right way. And together we will create right brief so that you leave with something tangible to use in the future. Bring your burning research questions along to the session. Or email, Julie at julie.vincent@tsrinsight.com and we will choose which one to workshop together on the day.